The President of the Republic of Belarus, Alexander Lukashenko, has plans to visit India in the near future. On the eve of the visit, the Head of State granted an interview to Indian mass media – a major Indian news agency “Press Trust of India” and a popular newspaper “The Hindu” (with 1.3 million copies in circulation). The questions addressed to the President touched upon a wide range of subjects - various aspects of the bilateral cooperation, interaction within international agencies, international problems of current importance, combined efforts of Belarus and India in counteracting terrorism, Belarusian-Russian relations. The cooperation in the sphere of science and technology is among the most promising in Belarusian-Indian relations, the president of Belarus, Alexander Lukashenko, told representatives of Indian mass media in an interview today. ‘We do not simply have many points of contact [in this sphere], but we have made good progress in many areas of cooperation in this sphere,’ the head of state said. In this respect the president cited cooperation the spheres of microelectronics, development and production of gauging equipment, alternative energy sources, laser and optical equipment, new materials and nano-technology, bio-technology and information and communication technology. The cooperation between the two countries in the sphere of science and technology has been successful, he said. But the progress ‘has not been as fast as one would like it to be,’ he added. ‘This is one of the reasons behind my visit to India. We intend to once again draw attention of political, business and scientific circles to the need of more effective implementation of agreements including those signed ten years ago. The Indian side is prepared to meet us halfway and further develop cooperation with Belarus in the sphere of science and technology,’ Alexander Lukashenko said. ‘India is pride of the foreign policy of Belarus,’ the president stressed. ‘We have very good relations with such big states as China, India, Russia. These are three huge countries, with which we have established the closest and friendliest relations. I would like to stress it: we are proud that our relations with India are as close and good as those with China and Russia,’ Alexander Lukashenko added. The journalists were keen to know the opinion of the Head of State regarding the future of the Commonwealth of Independent States and other integration structures in the post-Soviet space. The President is convinced that the cooperation between Belarus and India has good prospects ahead. The Belarusian leader said that during the upcoming visit to India special emphasis would be laid on the scientific and technological cooperation of both countries. “Not only do we have many points of contact in this sector, but also far reaching avenues of cooperation there,” the President said. During the visit, the sides are expected to sign some documents, the most important being a declaration reflecting major avenues of Belarusian-Indian cooperation. Belarus has ratified all the agreements signed within the framework of the Collective Security Treaty Organization (CSTO), the chairman of the permanent commission for international affairs and ties with the CIS of the Chamber of Representatives of the Belarusian National Assembly, Vadim Popov, has told today during a meeting with the CSTO general secretary, Nikolai Bordiuzha. However, it does not mean that the work of parliamentarians in the CSTO has finished, he noted. Deputies intend to work in the framework of the CSTO Parliamentary Assembly (CSTO PA). According to Vadim Popov, the first plenary session of the CSTO PA was held in St. Petersburg on March 30 this year. During the session the Belarusian side presented its official proposals to the three permanent commissions of the Parliamentary Assembly. “I think parliamentarians of other CSTO countries will file in their proposals by May and we will be able to hold an organizational meeting in St. Petersburg to approve the plan of work”, the deputy noted. The problems existing within the frames of the Collective Security Treaty Organization (CSTO) are on the agenda of today’s meeting between president of Belarus Alexander Lukashenko, who is currently holding chairmanship in the Collective Security Council, and CSTO secretary general Nikolai Bordiuzha. According to Nikolai Bordiuzha, there are several problems connected with Afghanistan. “The CSTO is actively involved in the post-conflict settlement in that country. We have contacted the Afghan government and are now discussing several projects,” Nikolai Bordiuzha said. He noted the presence of the problems connected with the situation in Kyrgyzstan, restoration of Uzbekistan’s membership in the CSTO. Nikolai Bordiuzha said Uzbekistan “is doing its utmost to ratify the agreement signed within the CSTO framework”. Nikolai Bordiuzha will inform Alexander Lukashenko on the measures which have been taken this year within the framework of the organization and on the progress in the implementation of the instructions of the presidents of the countries – parties to the organization. The agenda will also include the issues related to the preparation for a regular session of the Collective Security Council slated for June-July this year in Moscow. The Collective Security Treaty Organisation (CSTO) needs being consolidated and promoted as a credible international organisation, the president of Belarus, Alexander Lukashenko, said April 10 while meeting with Nikolai Bordiuzha, CSTO secretary general, the presidential press-service told BelTA. Belarus is holding the CSTO’s rotating presidency at the moment. Alexander Lukashenko has thanked Nikolai Bordiuzha for the work carried out with the Belarusian military. Belarus, according to the president, is consistently advocating the idea of consolidation of real integration within the CSTO framework, development of military cooperation, building up of potential of countering present-day threats and challenges. The fourth annual conference Prospects of International Law Enforcement Cooperation Against Human Trafficking is taking place in Minsk on April 10-12. BelTA learnt from representatives of the public information department of the UN Office in Belarus, the conference is arranged by the International Organisation for Migration, the Belarusian interior ministry and the Swedish International Development Cooperation Agency (SIDA). The conference is a logical continuation of the previous conferences, which were held in Belarus in 2003, in Kyiv in 2004 and in Chisinau in 2005. They resulted in recommendations for international operative and judicial cooperation in the fight against slave trade. The present conference will step up the dialogue of law enforcement bodies of Belarus, Moldova, Russia and Ukraine in practical and operative initiatives in view of the international cooperation against this kind of crimes. The conference will also gather representatives of the human trafficking origination, transit and destination countries from the CIS, Central, Western, and South-Eastern Europe, representatives of international organisations and foreign diplomatic missions in Belarus. The international forum will offer a unique opportunity for sharing experience for the sake of regional and international cooperation of law enforcement bodies, the development of new solutions and more effective practical initiatives. Over a short period of time Belarus has set up a comprehensive and large-scale legal base for combating trafficking in people. The statement to this effect has been made today by deputy head of the presidential administration Natalya Petkevich at the opening ceremony of the 4th international conference on human trafficking in Minsk. For Belarus itself this problem is not very pressing, though trafficking flows pass via the country. “Belarus was among the first countries fighting trafficking in human-beings on the international scene. The number of victims has been constantly growing. The means of trafficking become more inhuman, violent and sophisticated,” Natalya Petkevich stressed. She also noted that Belarus had adjusted the national legislation in the sphere. In her words, the main objective of the measures taken by the government is not to ban people from working abroad but to ensure that they get true, reliable information about the job there are going to take. “The Belarusian government does its utmost to provide people with opportunities to reach their potential in the country. Various programs supporting talented people in politics, culture and other sphere have been implemented. Today’s unemployment rate in Belarus does not exceed 1.2%,” Natalya Petkevich noted. The conference is organized by the representative office of the International Organization for Migration in Belarus and foreign ministry of Belarus with the assistance of the Swedish International Development Cooperation Agency. Representatives of the CIS member states, the EU, the USA, Canada, Switzerland, several Gulf states, countries of the Middle East and South-East Asia, international organizations concerned were invited to take part in the conference. Belarus is interested in devising a mechanism of bringing the users of human slaves to account, interior minister of Belarus Vladimir Naumov has told reported today. “We want to see an international mechanism of bringing the people - users of human slaves - to responsibility. We voice this intent at every conference. Probably it is not criminal responsibility that should be instituted for this category of people. However, some responsibility should be instituted,” Vladimir Naumov said. At the same time he emphasized that if Belarus' interior ministry initiates taking measures pertaining to criminal responsibility of the individuals involved, it does not mean the decision will be taken right away. Nevertheless, the issue will be considered. In the future a good international mechanism of counteracting trade in women should be devised. According to the interior minister, the measures to combat crimes in this sphere have been reaping results. According to the interior ministry of Belarus, in the past six years about 1 thousand crimes related to bringing women out of the country have been detected; 48 organized groups and 10 international criminal organizations have been eliminated. A thousand and a half people including around 100 foreign citizens have been brought to criminal responsibility. Belarus has created all necessary conditions for counter-trafficking training center. The statement to this effect was made by chief of the IOM Mission in Minsk Dejan Keserovic. He noted that the interior ministry academy has great scientific potential and necessary programs for training specialists in the sphere. Dejan Keserovic stressed that the Belarusian government has been showing vigorous political will in deterring trafficking in people. The number of this transnational crime violating human rights has been constantly growing. “Opening of the center is an important step for Belarus which shows the country’s serious intention to combat this crime. It is also a key to success in the area of migration regulation,” Dejan Keserovic said. According to him, close international cooperation is needed to curb the trafficking in people. IOM is ready to promote such a dialogue and continue cooperation for the common purpose. The center will be opened in July this year. Employees of both Belarusian and foreign law enforcement bodies and international organizations will have an opportunity to be enrolled in the courses. Belarusian and foreign experts will lecture in the center. The initiative to set up such a center has its roots in high international evaluation of the effective anti-trafficking legislation, progress made in regulating model business, dating agencies, children’s adoption by foreigners, employment abroad as well as the developed education base of the interior ministry academy. The presentation of an electronic trade system of the Belarusian Oil Trading House (BOTH) will take place as part of a practical conference Belarus’ Oil Products Export. Belarusian Oil Refining in Minsk on April 12-13. BelTA learnt from BOTH representatives, the electronic trading floor for exporting products of Belarusian petrochemical concern Belneftekhim had been functioning for two years. At present the system is used to sell 100% of exported main oil products. Besides, online purchases of chemical and petrochemical products are getting more popular. Specialists say, the Internet-based trading has allowed expanding the number of potential customers and increasing sales effectiveness. Today e-trade sessions are held practically every day. 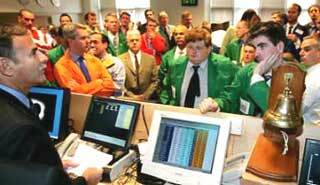 Sometimes several e-trade sessions take place per day. The conference Belarus’ Oil Products Export. Belarusian Oil Refining is supposed to highlight practical issues related to the functioning of the Belarusian oil refining industry. The conference is organised by the Belarusian Oil Trading House of Belneftekhim concern and British consulting company Confidence Energy. The conference is expected to consider areas of interest, strategies and prospects of the Belarusian petrochemical industry development. Attention will be focused on the present state of oil refining practised by Belarusian oil refiners, the assimilation of the latest technologies and raising the quality of oil products offered by Naftan and Mozyr Oil Refinery. Approaches to exporting petrochemical products and several other issues will be considered. Belneftekhim concern president Alexander Borovskiy, vice president Vladimir Volkov, director general of the Belarusian Oil Trading House Valeriy Ivankovich, executive director of Belneftekhim Baltic company Vladimir Demidov are expected to make reports during the conference. Representatives of the Belarusian government are expected to partake in the event. Traders, logistics professionals, oil refiners, executives and specialists of vertically integrated oil companies, and consumers of oil products will also take part in the conference. Representatives of BP Trading, Eurotrade Petroleum AG, Litasco, Neste Oil, Nordic Storage, LUKOIL, RussNeft and other companies will attend the conference. Participants of the conference will have an opportunity of talking to representatives of Belarusian oil refineries, flagship companies and traders. According to organisers of the conference, oil refining and oil product trade in Belarus are very interesting topics for traders, consumers and transport organisations of North Western Europe. Belarus’ geographical position makes the country a most advantageous producer from the transportation point of view. In the last five years the Belarusian oil processing and petrochemical industry managed to largely improve the quality of manufactured oil products and polymers. Innovative promotion methods such as e-trading, which gives equal opportunities to market participants, also raise Belarus’ attractiveness as a supplier for European markets. Vika Maroz is not subject to international adoption, said the director of the National center of Adoption by Education Ministry Natallya Paspelava at a press-conference in Minsk on April 5. N. Paspelava noted that the Hague Convention on Child’s Rights signed by Belarus in 2003 states that “a child integrated to a family on the territory of his citizenship and home country cannot be subject to international adoption”. “It is not a Belarusian law, but a norm of the international law,” Natallya Paspelava said. “We find is absolutely right. If a Belarusian family is selected for a child, he or she is defended, his/her interests are protected. He or she has a chance of family education”. N. Paspelava noted that theoretically adoption of Vika Maroz by Alessandro Giusto and Maria Chiara Bornacin or by some other foreign family is possible in case the foster family of Vika would be broken. “But I do not think that would happen,” she stated, “They are professional houseparents, who work, who have a correct attitude towards both children”. Commenting on the fact that before the scandal with Giusto - Bornacin family V. Maroz was separated from her brother for several years and lived in Vilejka orphanage, N. Paspelava noted that “the girl had peculiarities of psychophysical development, and needed assistance of experts. In September 2006 Alessandro Giusto and Maria Chiara Bornacin refused to send the girl who had visited them several times back to Belarus. they claimed girl suffered from psychical and moral abuse in the orphanage. For 20 days the family was hiding Vika Maroz in a monastery on Northern Italy. On September 27 Italian police found the girl and she was returned to Minsk by a special flight on September 30. On October 30 the girl was given to the family of Alena and Syarhei Vasileuskis, where her elder brother Sasha was living already. On October 19 A. Vasileuskaya told to the BelaPAN that her family was not ready to adopt the girl. Plans are well under way for the "Path of Chernobyl" event on April 26, traditionally the largest public demonstration of the season. The Chernobyl rally, however, is focusing on some of the serious health and social problems in Belarus that are attributed to the Chernobyl disaster as well as the issue of constructing a nuclear power station in Belarus. In early April, the organizing committee met to establish the route of the march. It was decided that it would commence at 6 pm in Yakub Kolas Square and proceed along Independence Avenue to the new National Library (a new focal point of rallies in Belarus). The head of the committee is Ivan Nikitchenka, a corresponding member of the Belarusian Academy of Sciences, and the author of several scientific works about the impact of the accident on the territory of Belarus. He expressed his hope that the march would be conducted peacefully. Chief responsibility for the event is in the hands of the Party of the Belarusian Popular Front (BPF), led by Vintsuk Vyachorka as well as Yuras Melyashkevich, head of the Chernobyl Commission within the BPF. There are diverse goals on the 21st anniversary of the accident. In the past, the government has sometimes responded harshly to the march, particularly if it has encroached on the central part of the city. Concern for Chernobyl victims has sometimes been superseded by the political confrontation, with demonstrators divided whether to commemorate a national tragedy or to perceive the event as an opportunity for public agitation. 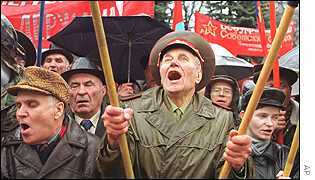 In 2006 the government responded astutely by holding its own Chernobyl commemoration for the first time, with children in national dress singing songs. The BPF is putting together a "training conference" that will have two facets: a scientific conference with reports by leading researchers and a more practical one that will try to establish an organization for Chernobyl victims. 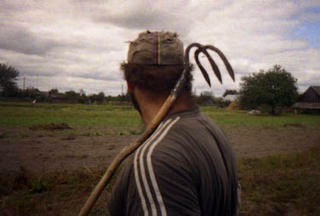 The key task is to bring together former cleanup workers ("liquidators") who now live in Belarus. This organization is similar to a separate venture spearheaded by social worker Alyaksandr Valchanin. On April 9, it was reported that an association of liquidators backed by the Ministry of Justice is to be founded at a conference to be held on May 27 in Minsk. According to one of the organizers, there are 115,000 workers who took part in the decontamination of Chernobyl territory currently living in Belarus, of which 11,200 are classified as "disabled." This association reportedly will offer cleanup workers free treatment at health resorts, free medicines, an additional two weeks of vacation with pay, and retirement at the age of 55 (most cleanup workers were in their 20s and early 30s, and are thus rapidly approaching this age). Valchanin remarked that since the government has long claimed a booming economy, then it should restore benefits to liquidators that were eliminated some twelve years ago during the first year of the Lukashenka regime. This organization plans to cooperate with similar associations in Russia and Ukraine and with official structures. Not unusually in Belarus, therefore, there could arise both an official and unofficial structure on behalf of the needy liquidators. Added to these issues is that of the proposed nuclear power station in Belarus and its construction without consultating the public. In February, Prime Minister Syarhey Sidorski made the dramatic statement that the period for construction of such a plant could be shortened to four years, as opposed to the nine originally projected. He made that statement after a meeting with Igor Finogenov of the board of the Eurasian Development Bank. Anti-nuclear sentiment is widespread in Belarus and a small protest was held in central Minsk on April 10, where young people handed out leaflets and unfolded a banner with the slogan "Belarus without nuclear power!" For the government to build a nuclear plant so hastily, it is inopportune for it to countenance undue focus on the effects of the Chernobyl disaster. The mild response to the Day of Freedom rally suggests that the authorities have become more sophisticated in their approach to public protests (largely through concern about international reaction), but in this case they must tread very carefully indeed. Belarus has failed dismally to deal with the social impact of the 1986 disaster and for years has left the needs of suffering families to international organizations. It has banned controversial research about the effects of the disaster and disrupted unofficial conferences that take place on its anniversary. After two decades it is trying willfully to co-opt the memory of Chernobyl as part of official rhetoric while constructing a nuclear plant in one of the most contaminated regions of the country. The hypocrisy of this position can hardly be overstated. Field works are stopped in all regions of Belarus due to weather conditions, in particular, snow on the fields, but weather forecasters promise setting of warm and favourable weather for sowing by April, 12. On the whole, grains and legumes, without maize, oat, and buckwheat, were sowed on 1 mln ha acreage (92% from the plan). Area under spring wheat totaled 142.700 ha, (88.3% from the plan), triticale - 14.800 ha (88%). Barley area occupies 553.000 ha (94.2%), including malting barley - 74.000 ha area (13.4sowen). Area planted with spring rapeseed totaled 5.600 ha area (13% to the plan). In the existing weather conditions winter crops yield will depend on up-to-date additional nitrogen fertilizing. Belarus has all necessary prerequisites to develop agro-tourism. First of all these are geographical position, unique nature and percentage of the population living in rural areas, general secretary of the World Tourism Organization (UNWTO) Francesco Frangialli said during the training seminar “Marketing of tourism and its promotion” in Minsk. The seminar has been organized by the Belarusian ministry of sport and tourism jointly with the UNWTO. According to Francesco Frangialli, Belarus, being little known tourist destination, can offer new original trips. He noted that this country has all prerequisites and opportunities to boost tourism business. The experience of the countries which have gained a wealth of experience in this sphere can prove useful. The state secretary informed participants of the seminar about the situation in the world tourism industry. In 2006, the UNWTO registered more than 8,5 million international tourist arrivals, or 4.5% up as against 2005. According to the organization’s forecast, in 2007 the tourist arrivals are expected to edge up by 4%. So, by 2010 the number of international tourist arrivals should make up about 1 billion 100 million, Francesco Frangialli noted. Having joined the World Tourism Organization in 2005, Belarus declared itself as a region which is favorable for tourism development. Being a member of the organization Belarus has access to the documents which appraise the state of the world tourist industry and also the up-to-date technologies in the tourist sphere. Today the World Tourism Organization unites 144 countries worldwide. The training seminar “Marketing of tourism and its promotion” has gathered 140 representatives of the leading tourist organizations of Belarus and all those who work in the tourist sphere. All the participants will receive special certificates of the seminar. The transport ministry of Russia has given the Belarusian side a draft intergovernmental agreement on equal rights in the sphere of price policy on railroad transport with regard to transportation of export/import cargo by rail between the two countries, the embassy of Belarus to Russia said. According to the Belarusian diplomatic mission, all the concerned agencies and ministries in Russia have already approved the draft agreement. The decision to prepare the draft agreement was signed by prime minister of Russia Mikhail Fradkov in December 2006. The Russian government decreed that before the official adoption of agreement, Russian domestic railway tariffs must be applied to the transportation of export/import cargo by rail in Belarus and Russia. That decision was caused by the termination of interim application of the Belarusian-Russian intergovernmental agreement on equal rights in price policy of April 12, 2002. The draft agreement provides for equal rights in the sphere of price policy on railway transport in both states. Under the draft agreement, Russian tariffs, duties and fees shall be applied to calculate carriage payments with regard to railway transportation between Belarusian and Russian railway stations of cargo from third countries. The Belarusian embassy to Russia has said the signing of this agreement is aimed at meeting long-term economic growth targets. As part of the Kyoto Protocol a project to produce methane out of household waste will be accomplished in Belarus, first deputy natural resources and environmental protection minister Alexander Apaatskiy told BelTA. He said, decomposing household waste produces a biogas, with the methane component as large as 60%. “The project will provide the country with an additional energy resource, will decrease methane emissions and will attract the necessary investments as part of the Kyoto Protocol”, he said. The official said, several Polish and Austrian companies show an interest in the project. “It is now necessary for 75 countries to ratify the necessary amendments to the Kyoto Protocol, after which specific greenhouse gas emissions for Belarus will be set”, noted Alexander Apaatskiy. In 1997 the Kyoto Protocol was adopted to list specific obligations of the participant countries to decrease greenhouse gas emissions. The Protocol came into force in February 2005, with 160 countries listed as parties to the Protocol. In Belarus the Kyoto Protocol of the United Nations Framework Convention on Climate Change came into force on November 24, 2005. In line with the Kyoto Protocol, by 2008-2012 the total greenhouse gas emissions are supposed to be reduced by 5.5% in comparison with the year 1990 level. Each country has a specific reduction target. The Kyoto Protocol allows parties to trade in greenhouse gas emissions. Russia has expressed surprise over Iran's military exercises near an Iranian nuclear power plant in the south of the country on April 6, Foreign Ministry spokesman Mikhail Kamynin said on Wednesday. "Iran's air defense forces carried out firing practice near the nuclear power plant under construction in Bushehr, without notifying either the Russian embassy in Tehran or the construction project managers," Kamynin was quoted by the Interfax news agency as saying. "In this context, the Russian embassy expressed its surprise and asked Tehran to inform the Russian personnel in Bushehr in advance about such plans," Kamynin said. "Armed military exercises at 5 a.m. near the construction site of the Bushehr nuclear power plant, without any warning given to Russian experts, further raises tensions around the project," Sergei Novikov, spokesman of the Russian Agency for Nuclear Power, was quoted by the RIA Novosti news agency as saying. The project, built under a 1995 contract, was suspended last month over what Russia called delayed payments from Iran since mid-January. On March 26, Moscow said Tehran had resumed financing, but added it still had to cover arrears. Negotiations are continuing this week in Tehran. The project, implemented under UN supervision, was to be commissioned at the end of 2006, but the date has been repeatedly revised. Deputy head of the Iranian Atomic Energy Organization Mohammad Saeedi said on Tuesday that the plant will be commissioned by March 2008. Iranian President Mahmoud Ahmadinejad said Monday the Islamic Republic had launched industrial production of nuclear fuel at the Natanz center, about 1,000 miles from the Israeli border. The UN Security Council tightened sanctions against Iran on March 24. Russia is preparing its own military response to the U.S.'s controversial plans to build a new missile defence system in eastern Europe, according to Kremlin officials, in a move likely to increase fears of a cold war-style arms race. The Kremlin is considering active counter-measures in response to Washington's decision to base interceptor missiles and radar installations in Poland and the Czech Republic, a move Russia says will change ``the world's strategic stability''. The Kremlin has not publicly spelt out its plans. But defence experts said its response was likely to include upgrading its nuclear missile arsenal so that it is harder to shoot down, putting more missiles on mobile launchers, and moving its fleet of nuclear submarines to the North Pole, where they are virtually undetectable. Russia could also bring the new U.S. silos within the range of its Iskander missiles launched potentially from the nearby Russian enclave of Kaliningrad, they add. He added: ``We feel ourselves deceived. Potentially we will have to create alternatives to this but with low cost and higher efficiency.'' Any response would be within ``existing technologies'', he said. Russia's President Vladimir Putin also wanted ``dialogue'' and ``negotiations'', he added. The Bush administration says the bases are designed to shoot down rogue missiles fired by Iran or North Korea. Its proposed system would be helpless against Russia's vast nuclear arsenal, it says. President Viktor Yushchenko is willing to freeze his order to dissolve parliament, a chief aide said Wednesday in what appeared to be a major concession aimed at resolving Ukraine's political crisis. Last week, Yushchenko ordered the parliament dissolved and called early elections. Prime Minister Viktor Yanukovych and his majority coalition in parliament vowed to defy the order. Yushchenko accuses Yanukovych and his allies of trying to usurp power. Yanukovych in turn contends that Yushchenko's order was unconstitutional. The Constitutional Court postponed its first hearing on the matter until next week — and with the prospect of a quick decision fading, both sides appeared willing to give some ground. Yanukovych, who had previously demanded the order be canceled, appealed to Yushchenko on Wednesday to freeze it. "The president ... has sent a message that his decree can be halted," said Vitaliy Hayduk, secretary of Yushchenko's security council. Under such a freeze, the parliament apparently would continue working, but a date for early elections would be negotiated. Yushchenko had called for elections on May 27 — just 14 months after balloting in which Yanukovych's party won the largest share of votes. The election eventually led to Yanukovych regaining the premiership, which he lost after massive demonstrations in 2004 that helped propel Yushchenko to power. The demonstrations, which became known as the Orange Revolution, broke out after Yanukovych was declared to have beaten Yushchenko in a fraud-riddled presidential election; the Supreme Court invalidated the vote and Yushchenko won the rerun. On Wednesday, several thousand supporters of Yushchenko marched to the Constitutional Court and then back down Kiev's main avenue, chanting "Honest court! Honest elections!" "We must help Yushchenko and Ukraine to stand for the choice that we made during the Orange Revolution," protester Svetlana Rohozhyna said. Yanukovych's supporters, meanwhile, began gathering for a major rally on Kiev's main Independence Square. By late afternoon, more than 10,000 had gathered. The rallies were significantly smaller than those of 2004, which frequently topped 100,000 people. Meanwhile, former Polish President Aleksander Kwasniewski, a mediator during the Orange Revolution, arrived Wednesday in Kiev to meet with Yushchenko and Yanukovych. During the meeting with Kwasniewski, Yanukovych expressed concern about the situation, saying it could hurt Ukraine as well as its partners, the Cabinet said in a statement. Yanukovych has called for international mediation, while Yushchenko insists there is no need. Lithuania is willing to participate in mediation on Ukraine's political crisis if Kiev so requested, the Lithuanian presidential spokeswoman said on Wednesday. The current political turmoil in Ukraine erupted last month when 11 lawmakers from pro-presidential factions defected to Prime Minister Viktor Yanukovich's ruling coalition. According to reports from the Lithuanian capital of Vilnius, in an interview with the Itar-Tass news agency, Rita Grumadaite quoted President Valdas Adamkus as saying that Lithuania would offer its participation in mediation if Ukraine made a request for help. But until now, Lithuania has not received such an invitation. Polish President Lech Kaczynski paid a brief visit to Lithuania on Tuesday and met with his Lithuanian counterpart Adamkus, with whom he discussed the Ukrainian situation. Kaczynski told a news conference that Poland did not want to interfere in Ukraine's internal affairs, but was ready to help out if Ukraine turned to his country for such assistance. During the "Orange Revolution" in Ukraine at the end of 2004, Adamkus and then Polish president Aleksander Kwasniewski participated in mediation together on the political crisis. Ukrainian President Viktor Yushchenko issued an order at the beginning of last week to dissolve parliament and hold early elections on May 27. Yanukovych and his ruling coalition in parliament have refused to accept the order. Last Thursday Yanukovych called for international mediation to resolve the crisis. In the years since the Cold War, the Russian Federation has been caught in a perpetual gray area, mired in a lengthy and ongoing transition between old and new: authoritarian political structures and democratic institutions, a centrally planned economy and a market system, imperial superpower status and ordinary statehood. Under the leadership of Vladimir Putin, whose term as president began in 2000 and will end in 2008, Russia has made some remarkable strides towards economic prosperity and domestic stability. Recently, however, certain decisions have led many to question Putin’s commitment to openness and democracy and have created fears of a resurgent Russian empire. In other ways, Putin’s time in office has coincided with a regression into authoritarian tendencies. As Colton pointed out, political competition is declining as opposition parties have become very weak. 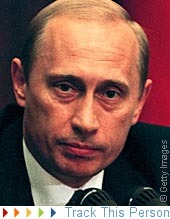 He added that the government continues to retain a high degree of control over the media and “has attacked civil society by placing all manner of restrictions on various organizations.” Although Colton believes it is unlikely that Putin will amend the constitution to allow himself more time as president, he stressed that “Putin is still young and healthy and expects to have a major role in Russian politics after he steps down” and predicted that he is likely to choose a successor who carries on his growing legacy. While Russian domestic political trends suggest a resurgence of authoritarianism, the foreign policy implications of this shift remain ambiguous, given that the Kremlin must cope with Russia’s decaying diplomatic leverage over neighbors. Countries within Russia’s traditional sphere of influence are beginning to strive for liberal democratic governments and have been courting western investment to an unprecedented extent. In recent years, Russian corporations—such as the government-owned conglomerate, Gazprom—have aggressively demanded that these nations, among others, pay higher rates for Russian gas. Prior to the most recent January, 2006 dustup when Gazprom threatened to withhold its supply, many former satellite states enjoyed Russian energy at deep discounts. In Ukraine, whose extensive pipeline network supplies about 80% of Europe’s gas, diplomatic tensions escalated when many cast Gazprom’s decision to raise rates as Russian retaliation for the 2004 Orange Revolution that brought the pro-Western Victor Yuschenko to power. Though a supply disruption has never occurred, critics still fret that the Kremlin stands ready to leverage Gazprom’s clout as a regional energy supplier to exert political pressure on its neighbors and prevent them from reaching out to the West. Professor Mark Kramer, Director of Harvard’s Cold War Studies Project and a senior fellow at the Davis Center, also sees Russian behavior as too inconsistent to be explained by purely political forces. “Russia's manipulation of energy supplies does involve some bullying of countries like Ukraine, but politics doesn't tell you everything, especially after what Russia did concerning [Gazprom's] December 2006 energy dispute with Belarus.” Given that Belarus wants close ties with Russia, Kramer believes that “There was no reason for Russia to use energy pressure against Belarus except for economic purposes, particularly to gain control of Belarus's distribution networks.” As Russian energy strategy continues to evolve, and its diplomatic position grows ever more complex, disentangling political motivations from economic ones will continue to prove difficult. Yet, Russian military and economic pressure on Georgia might indicate a more insidious form of diplomatic bullying. As this issue went to press, Russia was vigorously prosecuting an economic blockade that began in October 2006 when Georgia arrested four Russian officials on charges of espionage. Since Georgia shares a border with Chechnya, the Russian government argues that maintaining the approximately 3,000 Russian troops in disputed Georgian provinces is vital to Russia's national security. Yet Professor Kramer argues that Georgians regard such justifications as little more than Russian attempts to treat Georgia as a “vassal” state. “Even though that sounds pejorative, in my view it accurately sums up what the Russians want there. They do want basically a vassal state in Georgia.” At least in its relations with Georgia, the Kremlin still views regional diplomacy in the Caucasus and Central Asia through an imperial mindset. Russia’s current course under Putin could cause panic on some fronts, but it might be too early to ring the alarm bells. While Russia has experienced some authoritarian retrenchment and participated in instances of aggressive diplomacy, these trends do not seem as dangerous, or at least as one-sided, as some critics might contend. Nevertheless, the risks remain all too real that the nation will continue to move away from democratic stability and economic openness under Putin and his successors. If so, Russia’s immediate neighbors, the rest of Europe, and the world will be left facing the consequences. What happened to Russian exhibition in Auschwitz? A new scandal has broken out in Russian-Polish relations. Kommersant, a Russian business daily, has reported that the Russian exhibition in the former Nazi concentration camp Auschwitz has been closed. The story raises many questions. Is it another political demarche by Poland, one of the many that have taken place recently, especially when it comes to reconsidering history? Or is it ordinary negligence, common for both Poles and Russians? Piotr Setkiewicz, head of the museum archive, told Kommersant that the Russians had exaggerated the number of Soviet prisoners in the camp and had not provided accurate information about their origin. People from the "occupied territories" (i.e. West Ukraine and part of Belarus, which became part of the Soviet Union in 1939 after the Molotov-Ribbentrop Pact) should be listed as citizens of Poland and not of the Soviet Union, the museum's administration believe. The exhibition will open if Russia meets the requirements sent to the Russian Culture Ministry, Setkiewicz said. However, Mikhail Shvydkoi, head of the Federal Agency for Culture and Cinema, which is part of the Culture Ministry, said he had not received any letters from the Auschwitz Museum. Alexander Yegorov, Russia's Consul General in Krakow, confirmed for RIA Novosti that "the Russian part of the exhibition had been closed several months ago for temporary reorganization." Proposals on reorganization were submitted to the consulate several days ago, he said. Russian diplomats in Krakow warned against politicizing the incident. The question is who and when received complaints from the Polish museum. If the exhibition was closed a long time ago, why did its creators learn about it - and about complaints - from a newspaper publication? In her interview with RIA Novosti, Yelena Yurina, director of the Center for the Preservation of Monuments and Soldier Burials Abroad, said, "I can comment on the situation only using the facts in the Kommersant article; I do not have any other information." Her center, which is part of the Federal Agency for Culture and Cinema, was charged with preparing the Russian exhibition a few years ago. Yurina said she was very surprised by the Polish statements quoted by Kommersant. Krystyna Oleksy, the museum's deputy director, said the exhibition was closed because "the Russian organizers have not completed the exhibition modernization work." Yurina, however, said it was not true. The exhibition "was opened in January 2005, timed to coincide with the 60th anniversary of the liberation of Auschwitz prisoners by the Red Army," she said. "Russian President Vladimir Putin visited the exhibition with other heads of state. And we did not receive any complaints about it then." Yurina said she was also shocked by the statement made by Malgorzata Szniak, cultural attache at the Polish Embassy in Moscow, who said that "the new exhibition prepared by Russian specialists was not coordinated with the museum's staff. Its content contradicts other countries' exhibitions at Auschwitz." "If we had not coordinated our exhibition, it would not have opened," Yurina said. When preparing the exhibition, the Center's employees sent all materials to the museum by e-mail, she said. "We waited for Poland's endorsement; the most important issues were decided by the International Committee of Auschwitz Prisoners. After that we prepared sketch boards showing the plan of our exhibition, which contained pictures, figures and text. All that was also sent to the museum for approval." She did acknowledge, however, that there were disputes between the Russian and Polish parties when working on the exhibition. They were both about statistics and names of towns and villages. "Our statistics were based on the data of the Russian Academy of Sciences (as of the year 2000), but Poles have their own sources and their own position on the nationality of Auschwitz prisoners," she said. "As to geographic names, we used both academic works and the archive of Irina Kharina, president of the Association of Former Nazi Prisoners, which she has collected over many years, using testimonials of Auschwitz prisoners who told her their stories. The museum agreed to accept this information, although there is no documentary proof in some cases." Yurina insists that a compromise was eventually found on each disputed issue. The Center is now looking for the documents related to exhibition preparations in their archives and waiting for the opportunity to address the Polish complaints. The Russian foundation Holocaust would also like to see them. Its employees helped the Center to prepare the part of the exhibition related to the concentration camp's Jewish prisoners. "We would like to know what it is all about," said the foundation's co-chairman, historian Ilya Altman. He believes that if a territory belonged to the Soviet Union on June 22, 1941, prisoners from this territory should be considered Soviet citizens. At least, this is how the foundation compiles statistics on Jews who died in the Soviet Union during the war. In any case, the question is not whether the Molotov-Ribbentrop Pact was fair or not. The memory of those who died in Auschwitz, regardless of their nationality, should be sacred. This memory demands that all disputed issues be resolved with dignity. Was Ukrainian President Viktor Yushchenko right to call for parliamentary elections? This is a question that in recent days has been the subject of intense debate. Constitutionally, he seems to be on the slippery slope. Still, his argument that "it is not only my right, it is my obligation" might prove valid if he acted in the spirit of the constitution as its supreme patron. The core question is though how advisable it is for state to have a constitution, which allows for such a situation to occur. Imagine, for a moment, that the US Congress would act not only to impeach the president, but also actively prepare to abolish the office of the president itself. For an American this would be absurd, as the fundamental idea of the founding fathers was a system of checks and balances between the executive, legislative, and judical powers, as inspired by Montesquieu. This separation of powers' system is also the foundation of most modern democracies, and usually there are elaborate mechanisms to avoid situations that risk jeopardising the stability provided by the checks and balances of independent centres of power. Paradoxically, this seems not to be the case in the Ukraine, as recent developments demonstrate. The 8 December 2004 deal ending the Orange revolution involved changes to the Ukrainian constitution to limit the great powers of the presidential office, previously enjoyed by Leonid Kuchma. This was the price the leaders of the Orange revolution paid to get the fraudulent presidential 23 November elections invalidated. However, the changes did not enter into force until 1 January 2006. Introducing Amendments to the Constitution of Ukraine, previously adopted by the majority of the constitutional composition of the Verkhovna Rada of Ukraine, is deemed to be adopted, if at the next regular session of the Verkhovna Rada of Ukraine, no less than two-thirds of the constitutional composition of the Verkhovna Rada of Ukraine have voted in favour thereof. Still, the provision of decisions by two separate parliamentary sessions with elections in between, seems somewhat obscure, as the changes made in December 2004 appear to have entered into force before the March 2006 elections. It is therefore possible that the Verkhovna Rada may change the constitution by a single decision of a two-third's majority. A further mechanism to counter quick and unpredictable changes between elections may be § 83 of the constitution, which can be interpreted as preventing deputies to change loyalties between parliamentary fractions, as a coalition is to be formed by fractions and not individual deputies. This reasoning seems both obscure and ambiguous, but has been a key argument for the president to protest against the fact that an increasing number of MPs from his party, Our Ukraine, have changed allegiances in favour of the Party of Regions. 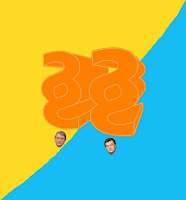 As votes were thus added to the anti-presidential coalition in parliament, the situation eventually became desperate, as Yushchenko's enemies were closing in on the 300 deputies margin. If this was allowed to happen, a qualified parliamentary majority could deal with the president as they saw fit, and eventually even depose of him. If the parliament cannot reach a majority (coalition) to form a government within thirty days after the first meeting of a newly elected parliament. If a coalition cannot reach a majority to form a new government within 60 days after the resignation of a prior government. If parliament during session has not met for a period of 30 days. It is quite obvious that Yushchenko did not fulfill any of the above criteria when signing the decree to disband parliament and call for new elections. Consequently, if reading the Constitution to its letter, Yushchenko had no right to do this. So, does that mean that he was completely off his rocker when he decided to make this move? Not necessarily. The argument that he acted in the spirit of the constitution as its supreme patron is certainly valid. As president, Yushchenko may perceivably have "the right and the obligation" to act if a situtation occurs, which threatens the constitutional order. When such a case is applicable is however unclear. One prerequisite might be if parliament had a clear and expressed intent to jeopardise the constitutional order. The requirements to be fulfilled in meeting the prerequisite of intent is however very obscure. Thus, the matter has been referred by parliament to the Constitutional Court for a ruling. Until recently, it was very uncertain whether the Constitutional Court would choose to address the matter. According to its statutes, it has 15 days to decide whether it at all will deliberate on an issue raised by parliament. Then it was declared that the Court would make its ruling on Wednesday this week. However, today five of the 18 judges said that they considered resigning due to public threats against them, and asked for police protection. Now, the court ruling has been delayed until 17 April. Reviewing the composition of the Court, it consists of eigtheen members: 6 judges, 6 parliamentarians and 6 presidential appointees. The five now concerned represent all three groups. Still, the Court could also choose to make a ruling even without the participation of the five members, as it only needs 10 of its members to make a ruling. That the Court could get a majority decision in this way is still very unlikely. Essentially, the question is whether the Court will make a ruling at all. That is highly questionable, as the developing crisis may render its opinion obsolete even if it could finally reach a verdict. All in all, President Yushchenko seems to stand on weak ground as for his decision to disband parliament and call for new elections. However, this does not mean that he may not stand his ground in the battle over its legitimacy. As events are evolving, new elections on 27 May seem to be the only sensible option to end the current conflict democratically. Consequently, the question whether his decision was right or wrong may never really be legally addressed. In terms of politics, his choice was a "catch 22" and whatever choice he made - be deposed by parliament or call for new elections - it was to come out bad for himself. The political verdict on Yushchenko may therefore be hard, as he for too long walked an increasingly thin line in exercisising his presidential duties. Still, whether Yushchenko was right or wrong is not the core issue. The important thing is whether his decision will eventually turn out to be right or wrong for Ukraine and its people. After all, that was what the Orange revolution was originally about - giving a voice to the people. Update: According to the BBC, Yushchenko would now be "willing to suspend his decree dissolving parliament and ordering an early 27 May election." This would constitute a postponement of parliamentary elections, so that parties can prepare for an election campaign, and not a change of opinion in that elections should be held. Thus, it is a signal that Yushchenko might be willing to compromise on the date for elections, but still carry through with the process. How it all ends up is very uncertain and it remains to be seen how Yanukovich supporters and other parties will react to this feeler. Yes folks: it’s time to lock up your daughters – the scientologists have come to Poland. If you thought the ‘Church of Scientology’ was just a bunch of slightly eccentric, small, tanned people who appear in Hollywood movies (like...er...Tom Cruise) then you would be mistaken. They are out to get your money, control your mind, and probably do nasty things to your grandma. Bizarrely, the ‘leader’ of Scientology in Poland is Hanna Garbalska, a member of the Polish Peasant’s Party! Is she seeking to lure witless peasants into a life of misery and poverty? And don’t they have enough of the poverty bit as it is (why else would they vote for the Polish Peasant’s Party in the first place)? You would think from the above descriptions that Scientology is as dangerous as anthrax! Keep away from them otherwise your mind will suddenly not be your own, you will lose all your money and your tongue will turn green! It was when I was 19 years old and going completely crazy – like 19 year olds frequently do. We used to go to the pub, hang around drinking and taking all manner of illegal substances. 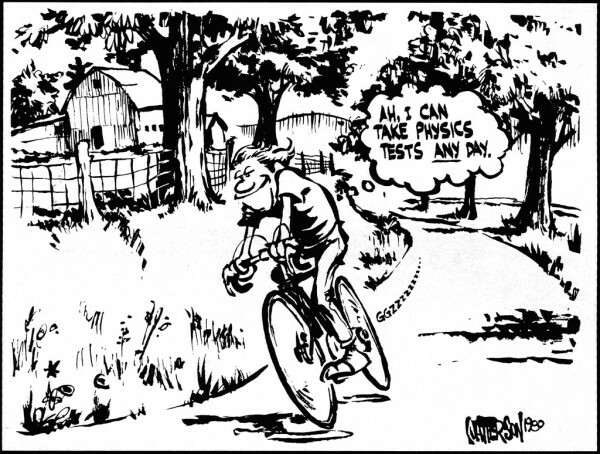 I think amphetamines were a favourite for while (warning: speed is the nastiest drug there is and the beatroot says: ‘Do not try that at home, kids!). Anyway, one day I was approached by a very sincere woman of about 30 years old with bad skin. She said she had seen me and my mates buying drugs and she would like to help us. I thought she wanted to get us a better dealer. But no. She wanted to ‘cure’ us. So, having nothing better to do than take stupid drugs that we didn’t even really like, we went along. It turned out that Narconon was a drug help center and a front organization of the local branch of the Church of Scientology. We were encouraged to read lots of books written by Ron L. Hubbard, the founder of Scientology. The books were quite dull. Apparently I had been born before. ‘Maybe I was Jimmy Hendrix’, I remember thinking. Cool! Lots of stuff about ‘dianetics’ and ‘auditing’. Auditing was the strangest part. Something about putting your hands on a couple of empty coke cans (I saw one of these at the Narconon center) which are wired up to a small battery. They ask you questions and if you give them the right answer you ‘pass’ whatever it is you are meant to be passing. Me and my mates thought this was hilarious. Even more hilarious was when our Narconon contact told us that if we would like the ‘full program’ then we would have to pay her 300 pounds! Three hundred pounds? Where would we get three hundred pounds from? And even if we had it why would we spend it on a couple of coke cans wired up to a battery? So we went to a few more meetings to ask silly questions like: “Will auditing make Crystal Palace win the European Cup’? That kind of thing. But we soon got bored of that and went on to terrorize some other groups that thought they could make us ‘better people’ – like the Catholic Church or the Socialist Workers Party. Why are Catholics so afraid of sects? Don’t know – but I get the feeling that they see human beings like all conservatives, liberals and everyone else seems to these days. They think that humans are inherently vulnerable and unlike me and my mates back when I was 19, can be hooked to a sect much like they tell us that heroin will suddenly come out of the shadows and hook us to that. In truth people WANT to become involved in Scientology or they don’t. And if they want to become involved in something as weird and stupid as Scientology then wouldn't it be better to ask: what is missing in the Catholic Church (or even secular beliefs today) that fails to attract the young? Don't try and blame that alienation on some supposed power that Scientologists do not have. I mean – I bet Tom Cruise still has to stand on a box to kiss his leading lady. 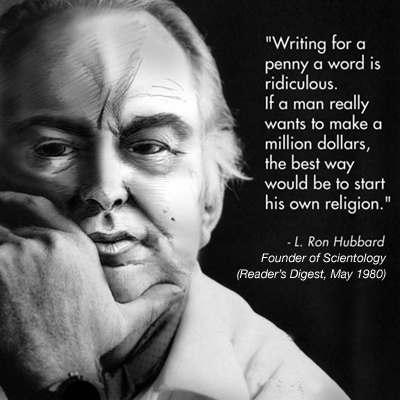 Ron L. Hubbard can’t do much about that, can he? It’s been a long time, I think, since we last had some good news to share on this blog about Belarus. Today is an exception, and it truly feels like a holiday. One of Belarusian political prisoners held on charges of “taking part in manifestations which disturb public order”, Dzianis Dzianisau has been released on bail four hours ago. He was in prison for nearly two months for taking part in a manifestation in Vitebsk, during which a group of people raised a white-red-white flag on a pole overlooking a local park and amphitheatre. If found guilty, he would face up to 3 years in prison. Long story short, a number of prominent bloggers helped to spread the word, a lot of good people contributed, the prosecutor’s decision to release him was secured yesterday, and Dzianis is not behind bars anymore. This does not mean he wouldn’t go to trial, and he is still under the same charges, but serving another month or two in prison for no reason at all before the trial would make a difference for anyone I think. Our thanks and deep gratitude go to a lot of people, bloggers and human rights organizations in Belarus, among them the Belarusian Helsinki committee, who helped to make Dzianis release possible. The only reasonable condition could be a bail, however now everybody knows you have no money. Therefore I do not predict any conditions. That quote came from a letter from Marcin Boris, my second attorney during my "monkey" trial in Poland. The letter that it came from was written on Mon, 27 January 2003 and was part of an "explanation" about whether I would get my passport back or not. Of course I wouldn't. Mr Boris knew this. But he was amidst a charade and had to say such things as if there were weight in them. This single quote has been going through my mind lately. Why was this question such a part of the legal process? Why did Boris even mention such a thing? By the time that this letter was written, we had already heard from Zaremba's two non-witnesses and from his daughter's rather professional though oblique (I do not remember, my parents told me what to say) testimony. For sure everyone knew that Zaremba had lied, that he had added onto my check damages that had come from another accident some six weeks after our incident and that he had collected on a previous accident from January in which the sign off damages were pretty much identical to what was on his car on the day we met. Everyone had known from day one that there was no case. Why were they still counting the money at this late date? I think the real answer is simple enough: It was an insult. I was too small a fish to have wasted their talents on. I was not really a worthy prize of such interesting and artistic manipulation of the legal system. It was a blow to their egos not to have been able to capitalize on such a shrewd little con and Boris wanted me to understand this: I might be an American, but to them I wasn't even small potatoes. And as for why Boris would allow himself the pleasure of letting out a little personal disgust, well, perhaps it was only a personal issue to him. He wasn't making any money off of me per se and it is possible that he had grown tired of having to put in such hours pretending to defend me for so little money. Or perhaps he had been feeling let down that I had never offered him any extra to actually do the job he was supposed to have been doing anyway. Or maybe he had simply been shocked to discover that Zaremba's side was the only one offering bribes. I do not know that this last point is real or not, but I can speculate. But for sure it was an insult. But by insulting me, Borus did in fact show not only his own mindset but that of all of the players of this little farce. By this time, certainly there wasn't any fear of repercussions or scandal. By working together, they had managed to suppress Peter Molga's story for the Warsaw Gazette. They knew the US embassy was not going to do anything for me. And also they had kept the court documents from me long enough to insure that I couldn't come back and ask Zaremba any real questions that might have to be entered into the court's record. It was in other words a laugh by this time; they had gotten away with it. And because they all felt free and clear, their only real emotions left were feelings of mild irritation that they had not been able to drain me for more than they got. In law, there are crimes and there are torts. A crime is when there is an action, damage as a result of this action and a mindset that intended the harm beforehand. A tort on the other hand has an action and damage, but lacks that malice aforethought, that criminal mind. It is said that in the case of a true tort, a more reasonable and prudent man would have avoided the action. To me, my case as a whole allowed for only two options: Either the Polish judicial system was made up of complete idiots, or absolute criminals. I say this quote from my second so-called attorney says it all. I mean, semantically I could say they were idiots and criminals, but in any case they were crooks. But the thing that really gets me is that they took pleasure in it. They not only knew they were committing criminal acts, they did it with zeal and, I don't want to say professionalism, but for sure it was done with the sort of detachment that comes with real experience. Like fisherman who can tell at a glance whether a fish is any good or not, they were simply cursing at a lousy catch. Maybe this is where the phrase adding insult to injury comes from. But in any case, this is what they did. It was all an insult. This is why I am fighting this case to the end. I have been asked and advised as to how I might have proceeded legally. There have been many people who have told me that there are issues involved and procedures that I could have followed before now. I have also been advised of certain legal groups out there who say that there actually is legal recourse for such things. I know we like to believe in such things and that there are laws. But I say in the case of the Polish system, there hasn't been a single episode that tells me this is true. And this is why I am fighting this publicly first and foremost. I want this story very, very, very public before I even begin to enter into any kind of dealings which even smack of agreeing to have respect for the system. Can you see the irony I am getting at? I have never been allowed to complain in any real way because THE PEOPLE I WOULD HAVE TO COMPLAIN TO ARE THE ONES I WOULD COMPLAIN AGAINST. And this is really what this fight is all about and why I think it should be interesting for a lot of people. Do you think we should have such under-the-table dealings in our lives? Do you wish to live in a world in which you haven't really any such thing as human rights? I am not speaking here of America or not America, I am speaking simply in general terms; do you think your life deserves any respect and is this idea worth? I do. So this is why I am fighting this case. I will break things open. It will happen and the people who did what they did to me almost five years ago, and of course have obviously done similar things to many, many others, will see their names in newspapers and on television as being exactly what they are: criminals. This was corruption on a deep administrative level and therefore, simply to make things better for everyone, everywhere, justice must be done. Please, I ask you all: help me fight this fight. It is a just fight, it is a worthy cause. It is a needed fight and much, much good will come from a real victory. Please give generously to the being had fund drive. Your donation dollars will go towards making this case public and allowing for some good light to be finally shined on a very, very dark and disturbing place. At the Acrobatic Gymnastics World Cup Final in Puurs, Belgium, Belarus’ trio of Maria Girut, Tatiana Motuz and Alina Starevich won the women’s group title, with Russia’s Tatiana Alexeeva, Natalia Fedorova and Elena Kirilova finishing second. The national ice hockey team of Belarus won a friendly against the team of Slovenia 5:2. Some six minutes before the end of the match the Belarusians were down 0:2. The goals were scored by Sergei Erkovich (54th minute), Aleksei Ugarov (55th), Sergei Zadelenov (57th and 60th) and Andrei Glebov (59th). The match in Slovenia was the first in a string of six friendlies ahead of the world ice hockey championships which start on April 27 in Moscow and Mytischi. On April 12 and 14 Belarus will play two friendlies in Italy. "There's much speculation about me and about the Belarusian leadership today," official information sources quoted him as saying at Sunday's Easter service in Belarus' main Orthodox church. "Believe me: nothing has changed during this year. The president is standing firm and is in full control of the situation in the country." "Someone would like him to start 'teetering.' But this won't happen because the Lord will always support us in our just intention to be honest and decent," he went on to say. Mr. Lukashenka stressed that Belarus would defend its freedom and independence. "They want us to resign ourselves, to bow, [want] most of us to get down on our knees. This won't ever happen. We are a proud, freedom-loving, independent people that lives on its own land. And this will always be the case," he was quoted as saying. "A year ago in this temple I promised that however the situation may develop, Belarusians will live in peace and in a stable country. And we have done everything today to ensure that no forces could destroy peace existing in our country. Because it is in the minds and hearts of people. Because it is you and your families who need peace, stability and order," the Belarusian leader said.